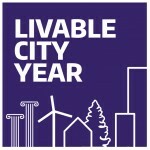 The UW Livable City Year program hosted live webinars as part of the Request for Proposal process for a 2017-2018 municipal partner. 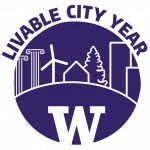 Representatives of UW LCY provided an overview of the program and the proposal process, while allowing time for questions and discussion. For more information on the request for proposal, see our 2018-2019 RFP announcement. We will release the RFP for our 2019-2020 partner in Fall 2018. You can watch the video of the webinar and see the presentation slides below.